For Block Technology Manager :- Graduation/ Post Graduation in Agri/ Allied Sector with Computer Skills. 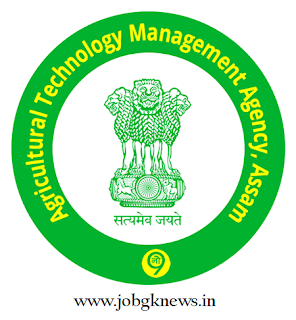 For Assistant Technology Manager :- Graduate/ Post Graduation in Agri/ Hort/ Economics/ Veterinary Science/ AHD/ Fisheries with Computer Skills. Job Location for ATMA Recruitment :- Guwahati (For More Details Please See Official Notification. Selection Process for ATMA Recruitment :- Selection will be based Written test. Application Fee for ATMA Recruitment :- Candidates have to pay Rs. 250/- (for General/ OBC Candidates) & Rs. 125/- (for SC/ST Candidates) through Online used to Credit Card/ Debit Card/ Net Banking. How to Apply for ATMA Recruitment :- Interested candidates may apply Online through http://nmaet.css-atmaassamrecruitment2017.com. on or before 11.10.2017.